Move over Audi, BMW and Lexus. Mercedes is on a roll. Last year, Mercedes-Benz had one of its best sales years ever, beating out long time rival BMW. Mercedes didn't have quite as strong of a sales year in 2017, with overall sales dropping by 2% in the US. Even though overall sales went down, the sales of AMG models skyrocketed by 50%. This was enough to give Mercedes the sales crown in the US for the second year in a row. Audi was the only one of the top four luxury automakers in the US that saw a sales increase in 2017, but it was not enough to be get ahead of Mercedes. 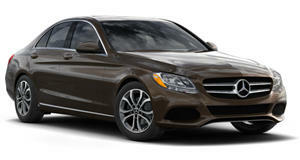 Bloomberg reports that heading into December, Mercedes was already leading BMW by 30,000 vehicles. This is a substantial lead, although the automakers have yet to reveal their December sales. We can expect to hear the final sales numbers on January 3, but it is unlikely that BMW or Lexus will be able to catch Mercedes in the sales race. 2016 was an extremely good year for luxury car sales, but it was predicted that it would lead to a sales slump in 2017. Mercedes was able to stay ahead of the game thanks to its massive product lineup, which includes more models than BMW, Audi or Lexus as well as AMG versions of almost every vehicle. The best selling Mercedes models this year were the C-Class, GLC and GLE. We think that Lexus could see a huge boost in sales next year thanks to the recently introduced three-row version of the RX. We'd like to see Audi and BMW try to keep up with Mercedes-AMG by building more RS and M models, but we guess that both companies are content to let Mercedes hog the performance market.